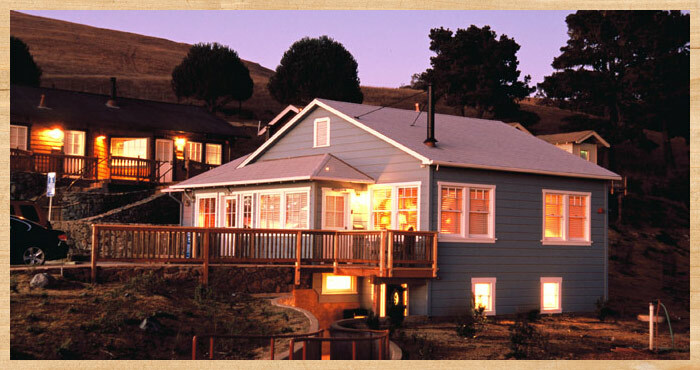 The Fly Fisherman is one of our most spacious cottages, beautifully appointed with coastal California style and comfort. 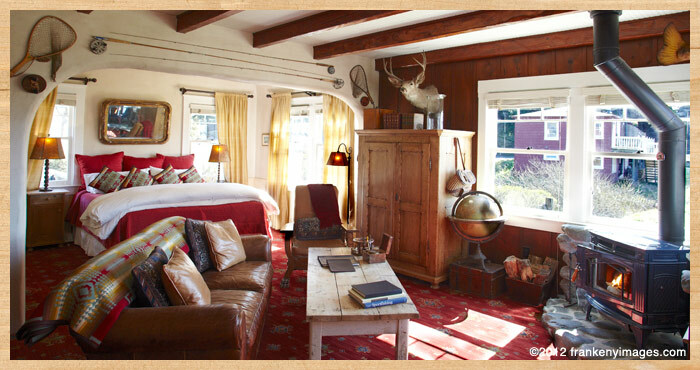 The tasteful hunting lodge touches make for a cozy stay, with a lavishly dressed king-size bed and wood-burning stove, and separate living room. 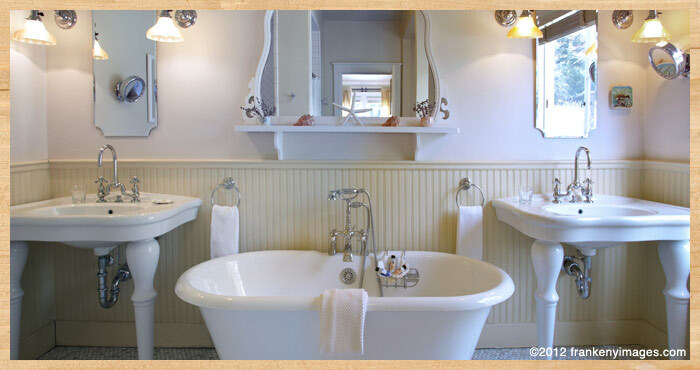 The luxurious bathroom includes his and her sinks and deep claw-foot soaking tub, as well as heated marble tile floor.